Product categories of Other Daily Necessities, we are specialized manufacturers from China, Wooden Fruit Basket, Wood Baby Frame suppliers/factory, wholesale high-quality products of Wood Hair Stick Pin R & D and manufacturing, we have the perfect after-sales service and technical support. Look forward to your cooperation! 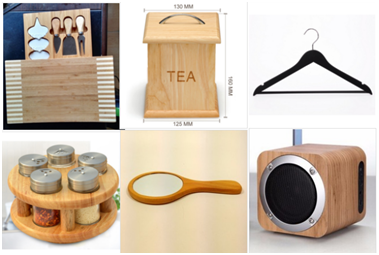 The other wooden necessities products ,such as wood seasoning pot ,wood clothes hanger,wood cheese board ,tea storage pot,wood mirror and etc. They are simply to use and make your life easier .They are your good helper. Q1:Is it available to get samples before ordering? A:We are very glad to provide sample for you to check quality first and set up the cooperation between us. Q2: How about payment terms ? A: 30% deposit, 70% before shipped,after mass production pic shared.